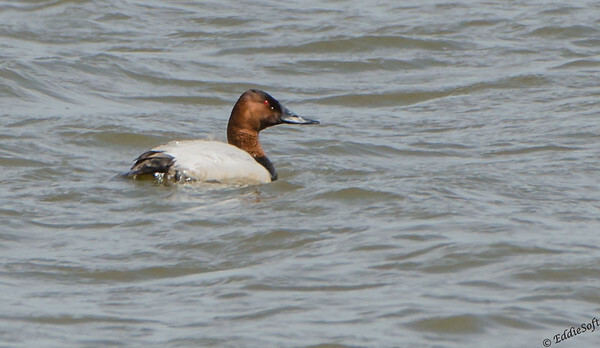 The Canvasback pretty much has all of Central America up through Northern Canada covered somewhere during the seasonal migrations. Being April guessing this one was doing some final fishing to build up energy for the trek up North. Not a lot I can really tell you about this duck due to my go to reference site (Cornell) being pretty light on the details. Apparently they breed in prairie potholes – we prefer to call them muddles in these here parts. They are clearly on the larger end of the diving ducks. They also carry a least concern conservation classification – yea! Only other tidbit is they got their name thanks to being the preferred seat covering for old Model T’s. Luckily, modern society found the fine rich feeling Corinthian Leather (Ze Plane, Ze Plane! – for the record, if you get that reference you are old)….. What.. you want me to check the accuracy of that? 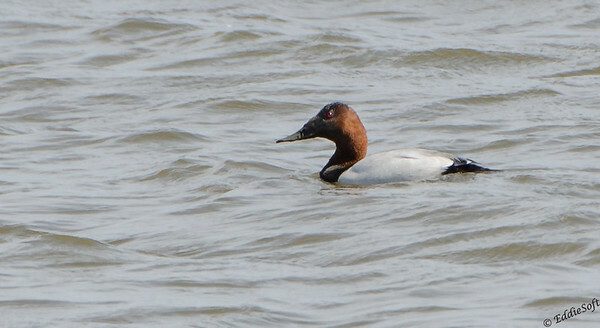 Hmmm… oh wait, my bad, they were given the Canvasback moniker from their preferred food during the nonbreeding season – the wild celery buds and rhizomes. You know you preferred my definition better .. come on … there you go. Just to prevent any future uncomfortable moments (for you! ), I probably wouldn’t base your entire theme or post graduate thesis on the contents of this blog. Somewhere along the line information in my head may get slightly distorted. My brother knows I blame my grade school for filling my head with lies (take for example the Brontasaurus and who knows what the hell Pluto is these days). All I have for you today – hope you enjoyed this “purdy” duck. 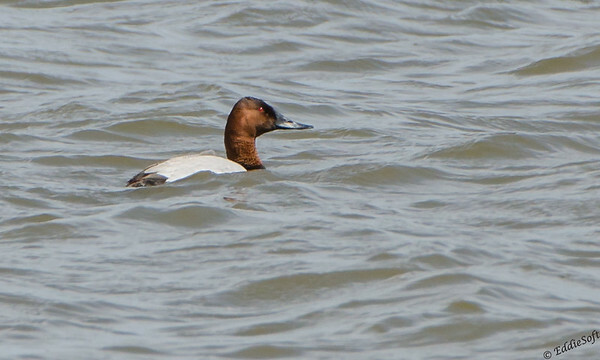 Hmm, I don’t have a Canvasback in my photo collection (or a Redhead for that matter). I fell for your story of the origin of the name, actually. I still don’t get how the name comes from wild celery buds and rhizomes, though. What is the advantage of red eyes among birds? Most have black, but there is a significant fraction that have bright red eyes. Is that better to see through water (did I read that somewhere??). One day, one day, the Brontosaurus will be resurrected among the dinosaurs and you will be at peace with your grade school teachers. And Pluto will return to its rightful place among the planets. And all will be well. But not in your lifetime. And finally, in a real puzzle, I did get the Fantasy Island reference, but I’m so young! Makes no sense. Hmmm, have I posted on the Redhead yet… was there foreshadowing there hehehe. Yeah, I have no idea how the name originated from their food, so I say we stick with my version and see how much penetration we can get. I have noticed of late the tremendous amount of red eyes as well – along with yellow eyes. Now idea if that gives an environmental or evolutionary advantage or not. We need to do some digging on that. I will personally hold a celebration if they bring back the Brontosaurus. My life has definitely been empty ever since losing that species in our history – a true travesty. I’ve about given up on Pluto There’s a better chance of it being given the name of a dog species before admitting their mistake and making it a planet again -the horror, the horror. Based on your admission on getting the reference – congratulations, you are officially OLD … but still younger than Grandpa Dan.